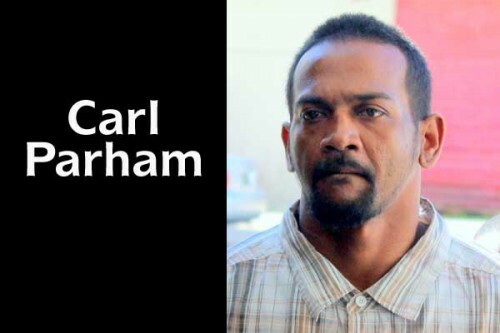 This morning, after Magistrate Dale Cayetano heard testimonies from PC Kelvan Benguche and PC Lincoln Alvarez, he found Carl Parham, 33, a resident of Mahogany Heights, guilty of burglary and sentenced him to five years in prison. During the trial, Marie Neal, also a resident of Mahogany Heights, testified that on March 18, 2012, she was at her home with her children asleep when she was awakened by a noise. When she opened her eyes, she saw Parham inside her room. Neal testified that at first, Parham didn’t move, but she managed to get him to leave her house empty-handed. But police believe that his motive was not to steal anything, but to sexually assault the woman. Both officers testified yesterday, and when it was Parham’s turn to present his defense, he chose to remain silent. After all the testimonies against Parham were given and he was identified by the witnesses, Magistrate Cayetano found him guilty of the charge. When asked if he had anything to say in a mitigation plea, Parham told the court no, and he was then sentenced to five years imprisonment. Parham is currently serving a 7- year sentence for an attempted burglary conviction, and his five-year sentence will run concurrently with that.